One of our family's favorite activities to do together as a family in the evening is color! It is a fun, quiet activity that the whole family enjoys and it is a great way to show creativity and wind down at the end of the day! Lately, on coloring night, I have been grabbing my new Cartoony Coloring Fest coloring book to color in and it is so fun to do! Cartoons are universal. Kids love ‘em. Adults love ‘em. They’re an excellent way to escape from a stressful day. 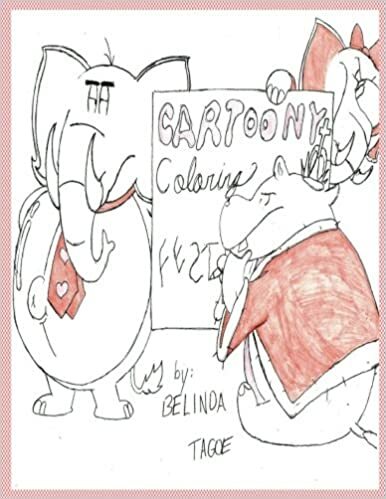 That’s why Cartoony Coloring Fest dedicates 30 coloring pages to monstrous warrior hippos, balloon-obsessed elephants, bear musicians, and more! Each page is more fun than the next and the whole family enjoys coloring in it! So, next time you have a stressful day, sit back, relax, and color. 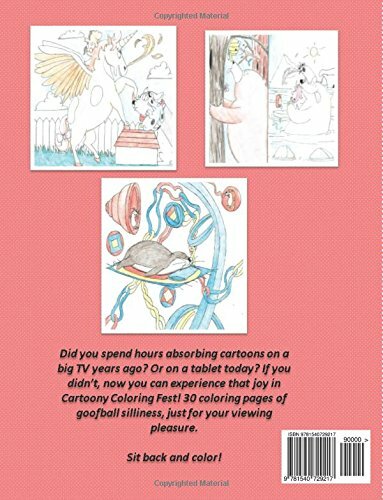 I know we will with this super fun Cartoony Coloring Fest coloring book! I LOVE your perspective. I couldn't agree more with this post, coloring is a creative and beautiful outlet! I'd be honored if you stopped by my website at www.beingbolens.com. I blog about experiences with marriage, being a small business owner and just LIFE!